Your search for a Dodge For Sale in Lynnwood is over. In 1914 the Dodge Brothers Motor Vehicle Company was founded by Horace and John Dodge. Their transportation experience before beginning an auto manufacturing company was as makers of bicycles and auto parts, But, their first car for the public was a touring car that proved very popular, a short time later the brothers began production of four-door sedan and a roadster. Three years later, in 1917 they began truck production. During World War 1 many Dodge vehicles were used as ambulances and staff cars. Following World War I, the Dodge brothers sold the company to a banking firm, who in 1928 sold Dodge to the Chrysler Corporation. Chrysler began developing the Dodge brand into performance autos that were performance cars such as the Coronet that was designed with a Hemi engine and the Dodge Royal Lancer. Trucks were modeled after those made for the military such as the Power Wagon Truck. Soon after Chrysler took control Dodge offered optional dealer installed air conditioning. The 1960 saw the suburbs filled with Coronets and the Dodge Dart. This was when Dodge also gambled and won with the introduction of the famous Dodge Charger. The car was a fastback, with hidden headlight and a full panel of tail lights. The standard engine was a 318 cubic inch V8, but an optional 426 cubic inch 425-hp Hemi V8 was also available. With the Hemi engine the car was practically unbeatable. In 1970, the Ford Mustang was a top seller. Dodge rolled out a competing model that was sporty; it was fittingly called the Dodge Challenger. By the end of the 1970s Dodge was in the same position as most other automakers falling sales were prompted by new wants by consumers and more competition. Chrysler and with it Dodge were recipients of the first federal government bailout for an automaker that along with the success of the Aires and Omni small and economical cars saved it from closing. Then, Dodge invented the minivan and introduced the Dodge Caravan in 1984. It could seat up to seven, haul stuff and was fairly fuel efficient. Sales took off. 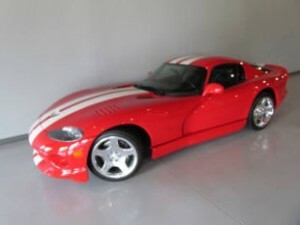 During the 90’s Dodge introduced V10 Viper – it got people talking about Dodge again. It also introduced a muscle-truck called the Ram pickup. A short time later Chrysler and with it Dodge were merged into Daimler Chrysler. Unfortunately, the merger did not work as planned and Chrysler along with Dodge was bought in 2007 by a private equity firm. Independent auto dealership Carson Cars in Lynnwood Washington is the area’s best place to buy a pre-owned Dodge car. They have a large inventory of Dodge cars on their lot that are guaranteed to run well. Every car sold by Carson Cars must pass a rigid 111 point inspection before it will be put up for sale. These inspections are performed by ASE certified auto mechanics. Cars Cars is an award winning, family owned and operated independent car dealership. It has been selling cars to folks from Lynnwood, Everett and Seattle since 1965. Today, Mike Carson is the second generation of family to guide the business. Buyers with damaged credit are welcome at Carson Cars. They have an extensive network of lenders plus in-house financing. They specialize in hard to finance buyers. Call Carson Cars now to arrange a test drive: 425-697-6969 or toll free at 1-888-47-DRIVE!